Heroes & Generals is the ultimate World War 2 game. 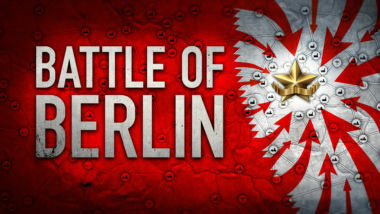 A free-to-play MMOFPS where Germany, the United States and the Soviet Union fight for victory in one grand online war. 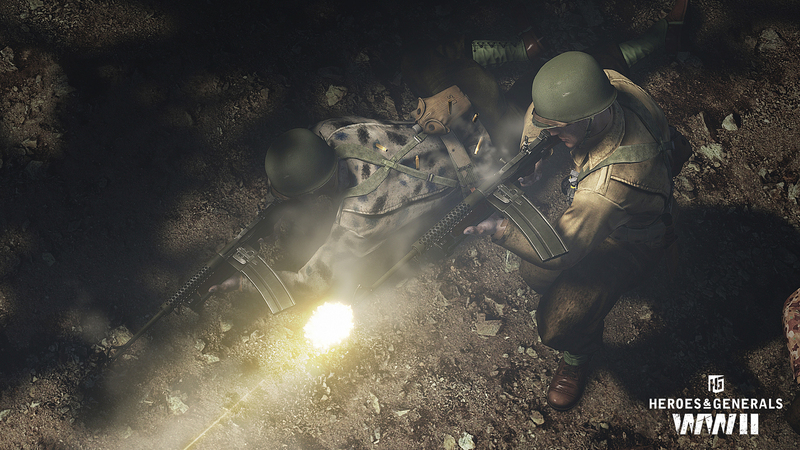 Play as Infantry, Tank crew, Fighter pilot, Paratrooper, Recon or General, and make a difference in the war. 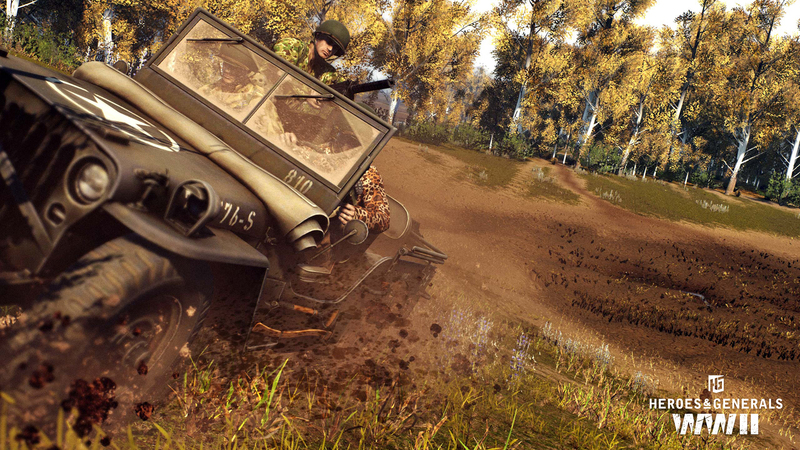 Players play as ‘Heroes’ fighting on the battlefield, flying planes, parachuting-, and commanding vehicles ranging from ordinary bicycles to heavily armored tanks. In Heroes & Generals you are a soldier on a career path progressing in skill, unlocking perks and new equipment as you fight in the war. In Heroes & Generals your team always has your back. Every single player makes a difference, but you win, die, conquer, lose and make friends as a team. Against overwhelming numbers, organized squads of soldiers stand, fight and win using tanks, recons, pilots, paratroopers and of course the armies’ infantry backbone. 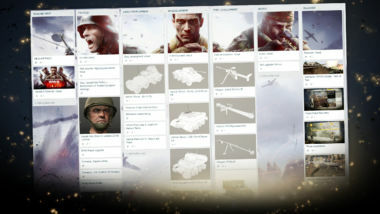 You join a squad as Infantry, Tank crew, Fighter pilot, Paratrooper or, Recon – choosing the role and playstyle that suits you. Heroes & Generals currently has more than 60 weapons and 65 vehicles in the game. Regularly released updates will add to the ever-expanding arsenal. As a soldier in Heroes & Generals you actually own the equipment that you bring to the war. You bought the gun, you purchased the tank, and you spent time mastering them. As a matter of pride you take care of your gear. 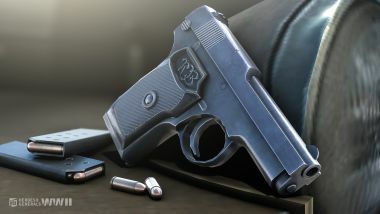 There is a great variety of authentic weapons and vehicles accessible in the game such as the effective US M1A1 Thompson submachine gun, the legendary German Panzer V Ausf G. ‘Panther’ tank, the excellent Soviet Yak-9B fighter plane, and even a bicycle! 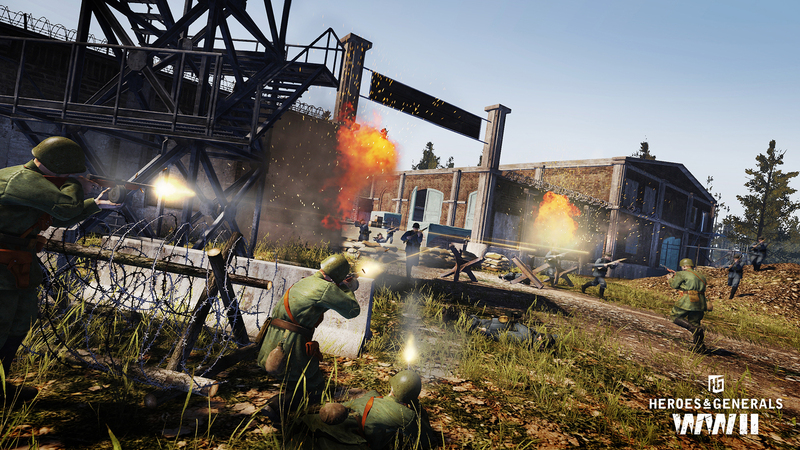 Heroes & Generals is not just a game about battles – it is a game about war. One grand, persistent online war fought by players across the world. As a soldier everything you do influences the war. Every kill you make, every tank you destroy, every objective you complete and, every town you capture matters. Players can take control of the war as ‘Generals’, determining the strategic direction and support fellow players by managing battlefield assets, army units and reinforcements for ongoing battles. No matter if you are a hero making your first kills on the battlefield or a General taking the strategic decisions in the war, your commitment makes all the difference. 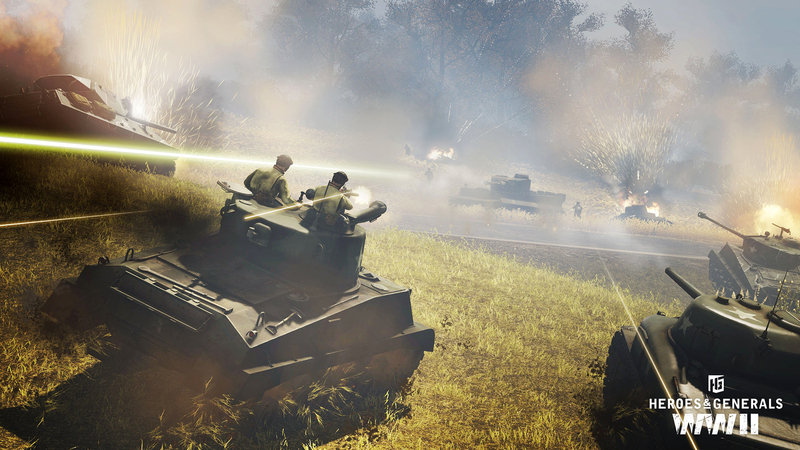 During its open beta Heroes & Generals attracted more than 8.5 million players from 194 different countries. 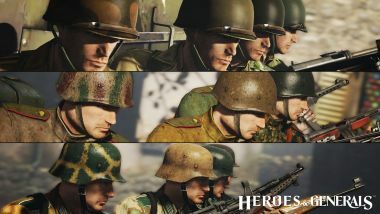 With a growing and welcoming community and a focus on teamplay, Heroes & Generals wants to bring players together and have them find friends from all around the globe. 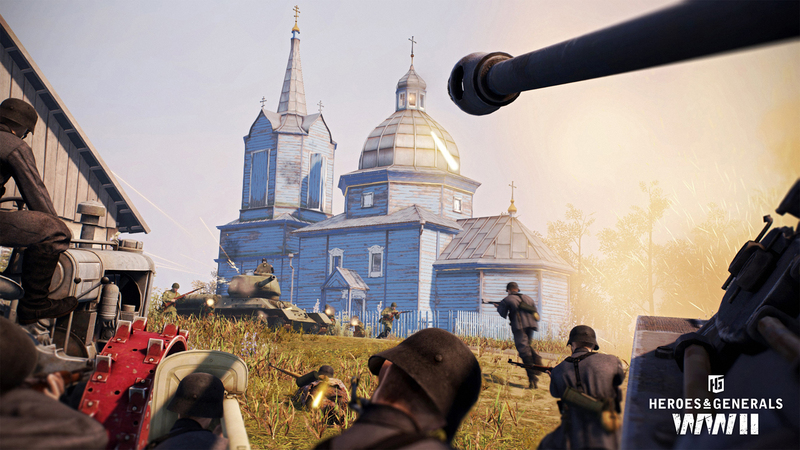 Heroes & Generals was one of the first ten games ever to be community greenlit on Steam Early Access. The open beta has allowed the developers to build a game with valuable feedback from the players. This journey and way of doing game development will continue as Heroes & Generals moves forward with new updates released on a regular basis. 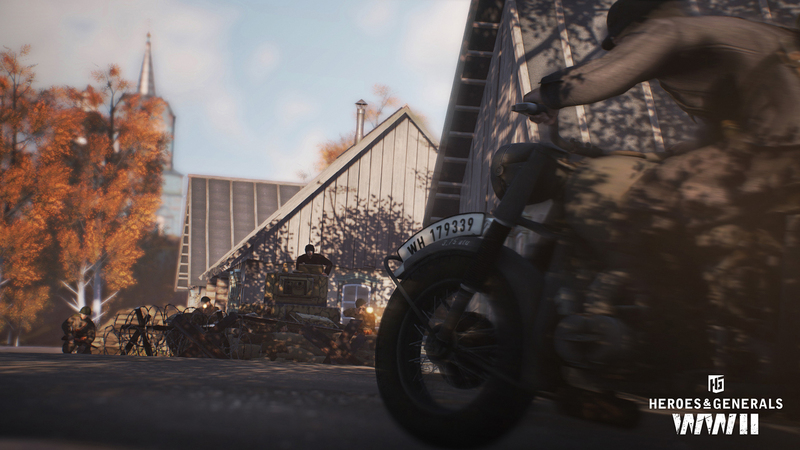 RETO MOTO is an independent game studio based in central Copenhagen and established in 2008 by the original founders of IO Interactive and the creators of the Hitman series and Freedom Fighters.